Red alert! The Federal Trade Commission AND Better Business Bureau are both warning consumers about tax scams. Tax scams are essentially identity theft. Someone, using your Social Security number, files a tax return in your name—pocketing your refund. You may have no idea it has happened until it’s too late. You could get a letter from the IRS saying more than one tax refund has been filed in your name, or the IRS may show you have earned income from an employer you never worked for. 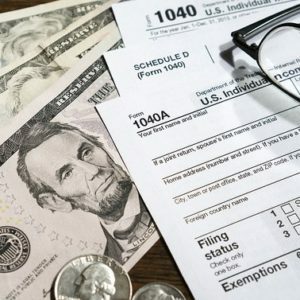 Now that everyone has their tax documents in hand and are ready to file, scammers are working overtime in an effort to steal Social Security numbers. Briefly, you get a call, text or email from someone alleging to be from the Social Security Administration (SSA) or another government entity. The name on your caller ID may even make it appear this is true. The scammer contacting you says your Social Security number (SSN) has been used to fraudulently apply for a credit card or commit another crime. In order to fix the situation, the scammer says you must confirm your SSN and other personal information. If you don’t cooperate, you’ll be threatened with legal action or having your Social Security number blocked or revoked. Even though the details of the scam may vary, the story you hear is designed to scare you. Scammers hope that under pressure you will tell them your SSN and other sensitive personal information they can use to file a tax refund in your name. Filing your return early to beat scammers. Use a secure internet connection if you file electronically (no coffee shops for you! ), or mail your tax return from the post office (not from your personal mailbox). Never giving personal information to unsolicited callers. If someone contacts you without your permission, refuse to tell them any personal information. For more information what to do if you think you’ve fallen victim to a scam, visit the FTC tax-related identity theft site. Photo courtesy of Flickr user: Pictures of Money.